An effective HR management software can be very useful for any business as it can be used by project managers to assign tasks, monitor, and evaluate the employees in a team. 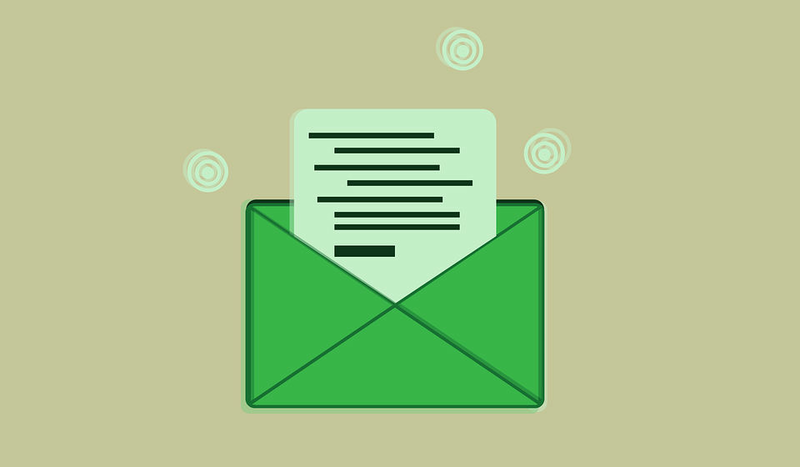 In a corporate environment, deploying an HR management software has become necessary. It helps in compiling all your recruitment and workforce management system easily and efficiently. The primary task of such type of software is to combine HR and administration processes together in a centralized location. An effective HR management software can be very useful for any business as it can be used by project managers to assign tasks, monitor, and evaluate the employees in a team. In addition, it delivers complete information about all the employees and can also be used for effective recruiting. It is a highly configurable HR management tool to accomplish your business requirements. This software has an intuitive interface and is equipped with exceptional features. It has a comprehensive analytics tool using which you can assign short term and long term goals for your organization. It allows you to track the users’ activity and generate reports which can be exported as an Excel or PDF file. Sentrifugo provides performance appraisal module where managers can assess the employee’s performance for a period of time and can define future training needs. In addition, it has an efficient time management tool which allows you to define time-off options for your entire business unit. 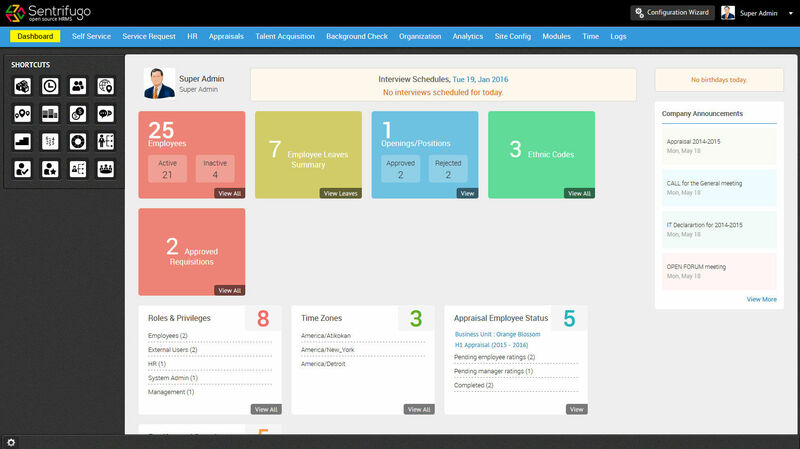 It is an open source HR management platform which is most suitable for startups. It has system administration module that can easily handle all the essential HR functions. With OrangeHRM, you can build a comprehensive employee database and can manage all employee information on a centralized platform. 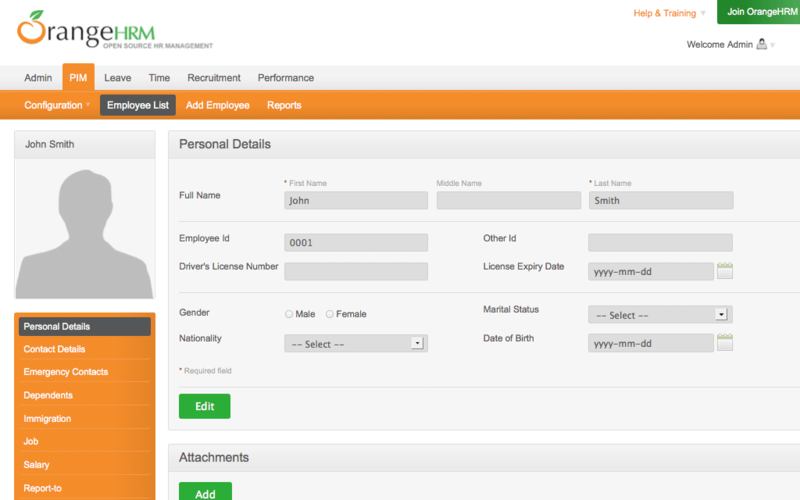 In addition, it allows you to generate customized employee reports. Using its recruitment module, the entire recruitment process can be effectively streamlined which makes employee hiring a hassle-free process for your HR professionals. The timekeeping process is completely automated and delivers a concise attendance tracking report to the managers. It is a free online HR management tool which can be used to consistently manage your company and employees. 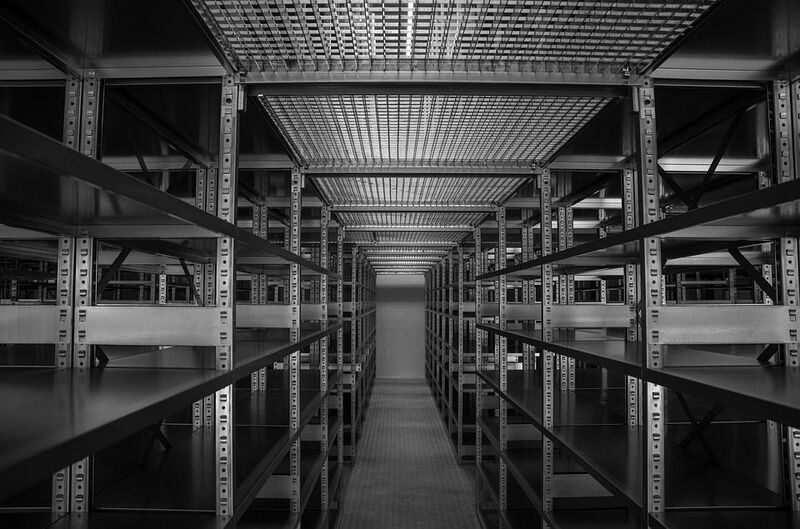 All the confidential information are stored in a highly secured centralized server. Access permissions are defined to the centralized server, hence, it allows only authorized users to access the information. This software easily integrates with third-party applications and, thus, enhances the payroll process of your company. Moreover, you can also keep your employees engaged by conducting frequent training sessions. Using the IceHRM’s staff training module, you can define your training sessions and can also monitor the entire training progress. 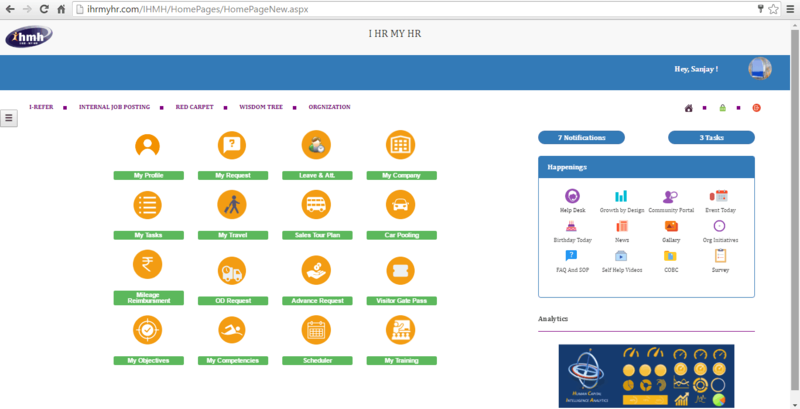 HR.my is a free multi-user HR management tool which allows you to add an unlimited number of employees. The software establishes highly secured connections by using SSL encryption techniques. In addition, it has a free e-leave management system, using which you can easily manage, track and approve all your employees’ leave applications. Along with this, it supports team collaboration and allows all the employee to collaborate and work together. Due to collaboration, all employees can share their feedbacks and innovative ideas which will drive your business towards success. 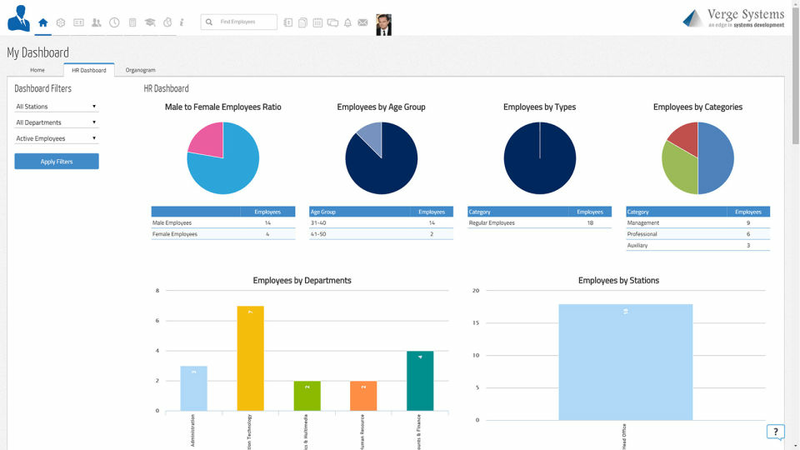 It is a cloud-based HR management application which is powered by Artificial Intelligence. 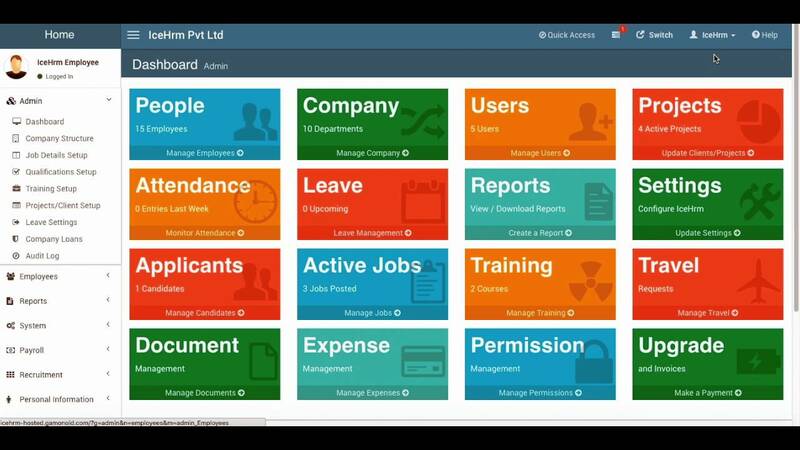 The software has a dynamic dashboard which displays all the key metrics on a single screen. It has a real-time chat feature which establishes communication between the employees. You can have a private conversation or a group discussion with your employees by using its real-time chat options. WebHR can easily integrate with all biometric devices and can migrate the entire attendance data to your system. In addition, WebHR has some other add-on modules as well such as performance evaluation and payroll processing. Not literally free, but the basic plan starts at only $2. 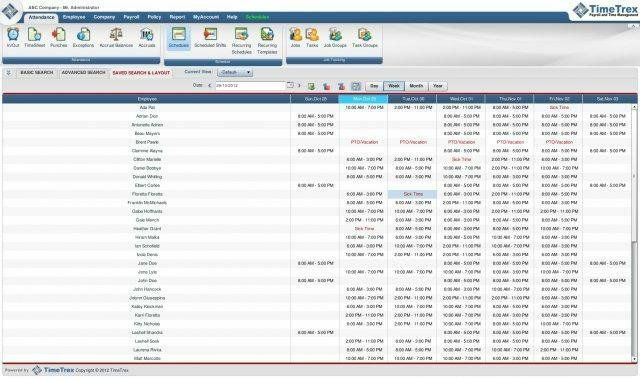 If you need a highly efficient HR management software, then the above-listed software are all very good options to go for. All these free and open source software have all the essential feature to manage your employees and business effectively and are also very good on the economic front.